Mass texting can be used to send appointment reminders to students. Mass texting isn’t just for businesses marketing to customers anymore. In recent years, this handy mobile communication tool has become popular at colleges and universities. Mass texting can help keep the lines of communication open among students, parents, and school staff. 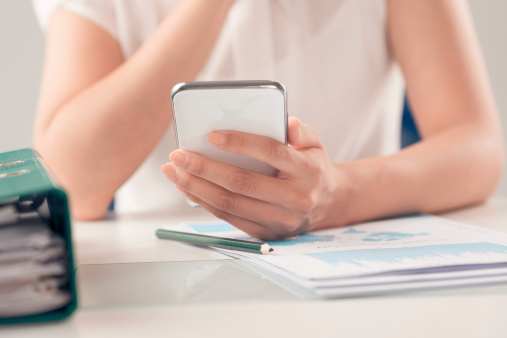 If you are a school administrator that’s been contemplating using mass texting as a communication tool, there are a number of ways your school can benefit from working with a mobile company. Here are three ways colleges and universities are using mass texting to improve communications. Is scheduling your staff meetings always a frustrating challenge? Do you spend hours trying to identify a good date for parent/teacher conferences? Scheduling these things can be a time consuming process. Mass texting can help you streamline the scheduling process for staff meetings and after school events, saving you time and money. Instead of sending an email or putting a paper notice in staff mailboxes and waiting for everybody to respond, you can simply send out a mass text to get a better sense of their schedules almost immediately. Mass texting is a fast and easy way to get a response quickly and get things done. Life can get busy, and it’s easy to forget about upcoming appointments. If you’ve found that a few of your teachers have unintentionally skipped school-wide events because they were working late or your parent/teacher conferences have been poorly attended, you can increase participation by sending out appointment notifications. Some colleges and universities also distribute appointment reminders to their students via mass text. For example, if a student has a set weekly calculus tutoring session, you may want to schedule a text reminder an hour prior to their appointment. This can help you minimize the frequency of missed appointments, and avoid the hassle of having to reschedule or set aside special one-on-one time to review what happened at a recent meeting. In recent years, media reports of tragedies like school shootings and bomb threats have been on the rise. Taking a proactive approach to communication can help you protect your staff and students from harm in the event of emergency. Many high schools, colleges, and universities have paired up with mobile communications providers in recent years to distribute quick alerts via mass text as part of their emergency protocol. When a threat is reported, administrators can get the word out almost immediately. Fast communication via mass text may actually help to save lives at your school if an emergency situation ever occurs. Use mass texting to open up the lines of communication among teachers and staff. Mass text messaging has significant benefits for colleges and universities who use it as a communication tool. This particular means of communication can simplify administrative processes, saving your school time and money. You can also use mobile to send appointment reminders to parents, students, or staff members. Mass texting can also be used to distribute emergency alerts. If you are interested in exploring how you can use mass texting for your school, try Group Texting for free today.